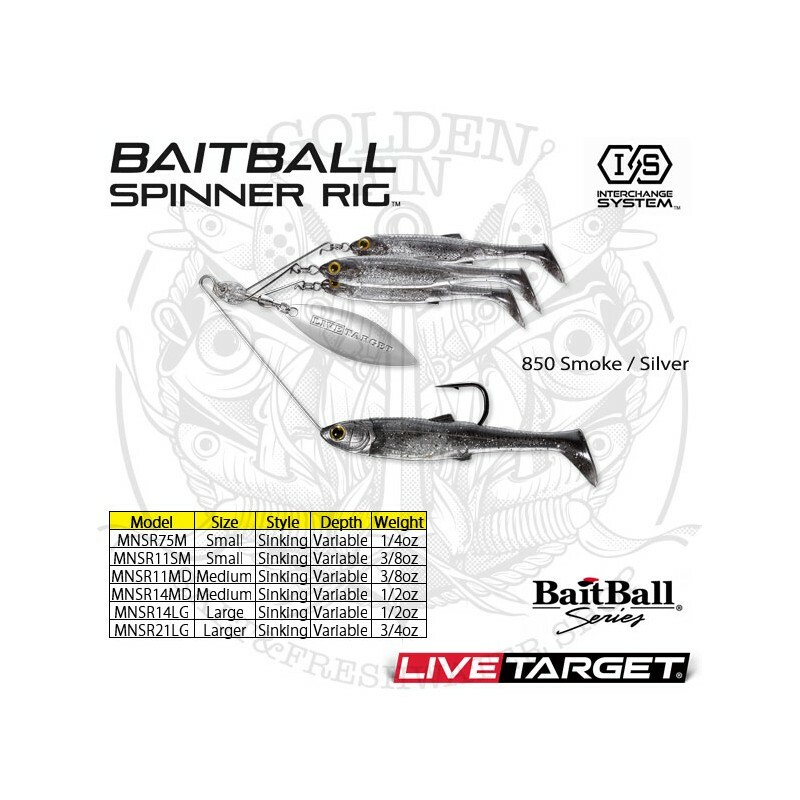 LIVETARGET BAITBALL SPINNER RIG is a versatile lure which can be fished at any depth zone. 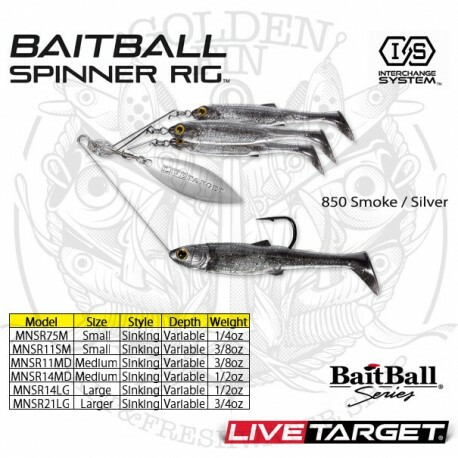 With three different wire-frame sizes and two weights in each frame, the LIVETARGET BAITBALL SPINNER RIG is a versatile lure which can be fished at any depth zone. 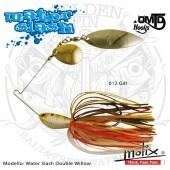 The three Teaser bodies and willow blade create a vibration and flash which call in nearby game fish. 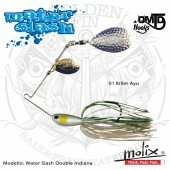 When the predator sees the BaitBall, they will strike the Target body which is strategically placed away from the Teaser fish in the BaitBall. Anglers are able to utilize the Interchange System to quickly change or customize colors on the lure. Interchange packs sold Separately. Freshwater and Saltwater.